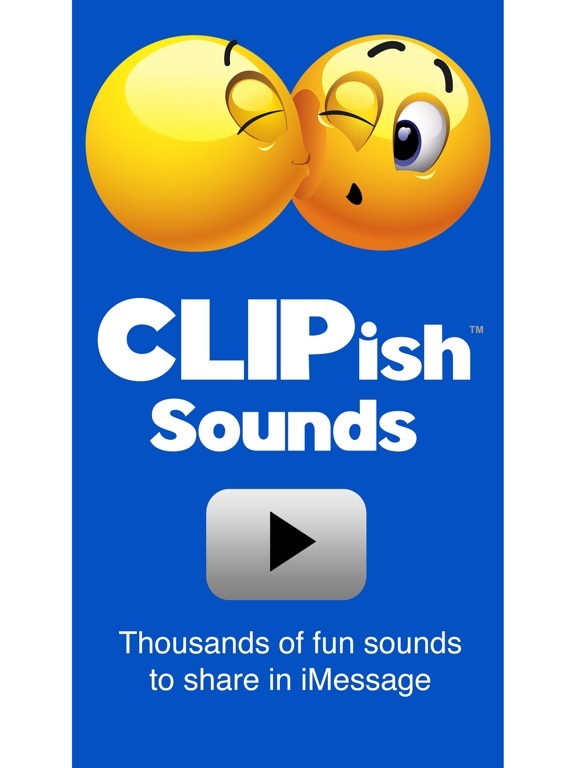 CLIPish Sounds app: insight & download. Make your text messages come to life! Quickly insert hundreds of fun "sounds" into your text messages. The person you send the sound to will see a small "play button," right in their text message log. When that user taps on the play button, they will hear the sound you've selected for them. Choose from hundreds of sounds in dozens of categories, including: Greetings, Reactions, Romantic, Smack Talk, Birthdays, Holidays, Sound Effects, Animals, Sports, Politics, Weather, and many more. Run from either the stand-alone app or directly from iMessage. 1. Tap the App button in iMessage to find and run the CLIPish Sounds iMessage app. 2. To find a sound, browse by category or type in what you're looking for in the Search box. 3. Tap the play button to hear the sound. When you find a sound you want to send via text message, tap the Share button for that sound. 1. To find a sound, browse by category or type in what you're looking for in the Search box. 2. Tap the play button to hear the sound. When you find a sound you want to send via text message, tap the Share button for that sound. 3. Tap the Copy option. 4. Go to the text message app and the appropriate conversation. Tap in the input box until a Paste option appears. Tap Paste then send the message. 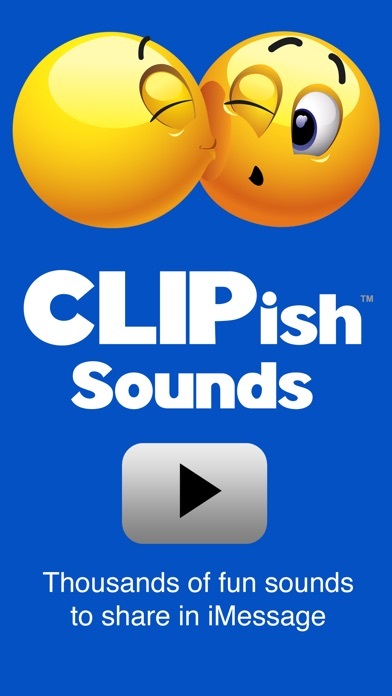 VIDEO TUTORIAL: To watch CLIPish Sounds in action or if you need help using the app, visit www.clipish.net and watch the video tutorial for CLIPish Sounds. SUGGEST SOUNDS: We are adding new sounds all the time. If you'd like us to include something specific, send your suggestion to us at support@clipish.net. * A NOTE ABOUT COMPATIBILITY WITH NON-iPHONE USERS: Depending on what cell network and type of cell phone the person you're sending a sound to has, the play button may appear slightly different. Also, if the device you're sending the sound to doesn't support MMS text messaging, the sound may not be received or play. * Some sounds included are public domain. If you believe your work has been included in err, please let us know so it can be removed.